Book Description: Foundations Guide is part of a learning series for public post-secondary staff to begin or supplement ways to Indigenize the institution and professional practice. The Foundations Guide is part of an open professional learning series developed for staff across post-secondary institutions in British Columbia to support Indigenization of institutions and professional practice. The Foundations Guide includes introductory information about Canadian-Indigenous relationships. This is a self-guided resource and is a beginning step for those looking to broaden their knowledge about Indigenous peoples across Canada and British Columbia. 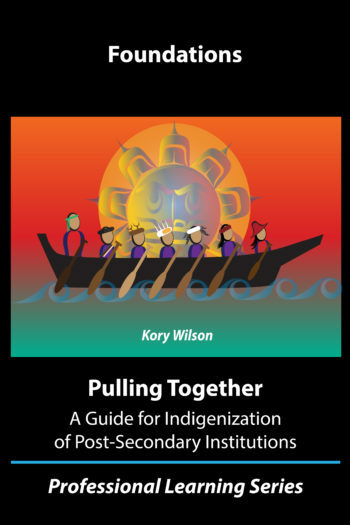 Pulling Together: Foundations Guide by Kory Wilson is licensed under a Creative Commons Attribution-NonCommercial 4.0 International License, except where otherwise noted.